In March of this year, I was lucky enough to sit down to dinner with speculative fiction writer, blogger, and scholar Charles A. Tan (known to those of us at RSF as “Charle Satan”). Family business necessitated a trip to the Philippines, and meeting up with Charles was a highlight of my trip. Charles and I met up at Shangri-La Plaza (link: http://www.shangrila-plaza.com/ ), which is the sort of mall where you can drink a Starbucks coffee and shop for Louis Vuitton luggage while a pair of half-starved teenagers repair your laptop and hack your blackmarket GPS in the carpark. While this isn’t representative of the Philippines as a whole, this yuppy-cyberpunk fusion is very much representative of what could be the future of the Philippines. Charles’ excellent blog is at http://charles-tan.blogspot.com/, where you can read more about the upcoming Philippine Speculative Fiction Sampler #6. So tell us, how did you become Asia’s best-known spec-fic fan and blogger? Well, I am the ‘whole geek package’, so it is only natural. I love the novels, movies, comics, and gaming. I started blogging in 2001, but it wasn’t until 2007 that I started focusing on genre work. It was, probably 2008 that I started doing interviews—that was when Wizards of the Coast started its “Discovery Series”, and I was very interested. J.M. 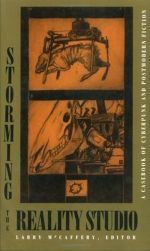 McDermott was the first person that I interviewed, and from that point I started approaching new artists and writers if I could interview them, and help promote them. What was your first interview like? It was mostly email. Even a few months before then, he was already talking to me about his work. 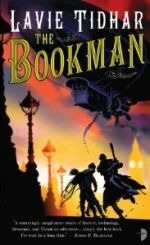 He was not yet an established writer, this was just after “The Last Dragon” (link http://www.amazon.com/Last-Dragon-Discoveries-J-M-McDermott/dp/0786948574 ), his debut work, so it wasn’t really intimidating. He was telling me that Jeff VandeMeer was planning to feature him for his Omnivoracious blog at Amazon (link http://www.omnivoracious.com/2008/02/a-brilliant-new.html). It was fun. I do all my interviews by email, because it would take too long to write all this down [mocking laughter, no doubt at my dictaphone]. 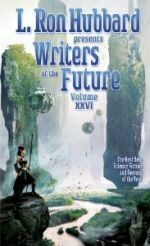 How out of place have you felt in the Philippines, being the “whole geek package”, with science fiction still a developing art form here? Well, it depends. In high school, for me, I was out-of-place because not a lot of people were into “geek stuff”. I only found out later on that there were a lot of people into “my kind of books” [laughs]. With the rise of the internet, it has been much easier to find people with common bond, and that’s why I started my blog to find people who share the same interests as me. You have over 500 people on your RSS feed. Yes. 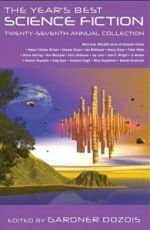 For me, when it was just genre-readers it was probably more like 100 or 200, but when I started doing my genre links in 2009 I got syndicated by “Pimp My Novel” and another blog, both of which had a large audience. Most of my readers tend to be fellow writers, or editors, or people in the field. In my circle of friends, when I told them I would be visiting the Philippines, the first thing they said was “be careful”. The second thing was almost always, “Say hello to Charles Tan”. Almost everybody that I’ve met in the American spec-fic self-publishing and e-pub crowd knows you. People in Canada, England, Germany, and India have mentioned you to me. I’ve asked everybody that I’ve met in the Philippines, including a few writers, columnists, book store managers and owners…Nobody knew you by name. How did this happen? Like Jeff VandeMeer said in his “Booklife” (link: http://www.amazon.com/dp/1892391902/ref=wp_dp_1?ie=UTF8&searchSource=http%3A%2F%2Fwww.amazon.com%2Fs%2Fref%3Dwp_bts_1%3Furl%3Dsearch-alias%253Dstripbooks%26field-keywords%3DJeff%2BVanderMeer%26x%3D0%26y%3D0&qid=1304476174&sr=1-3-wp ) , it’s harder to promote yourself in the city you are in, as opposed to elsewhere, because the people in your hometown are familiar with you. It takes a stranger to be an expert. No one in the Philippines recognizes me. But that’s okay. Outside of the Philippines, where have you travelled? When I was a kid, my parents always made it a point to travel. I have been to San Francisco and to LA in the States. One year we went to Hong Kong, once to Australia. 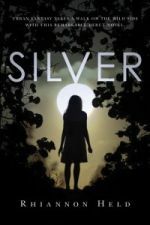 When reading up on Filipino speculative fiction writers, three names seem to pop up the most often: Mia Tijam, Eliza Victoria, and Rochita Loenen-Ruiz. What can you tell us about them? Mia Tijam used to be the girlfriend of a writer friend, and she is a talented writer herself. I asked her to help me to edit the “Philippine Speculative Fiction Sampler”. In many ways, she is a more talented writer than myself, and I was so glad she agreed to contribute. Eliza Victoria is one of today’s most prolific Filipino fiction writers. In the past year, she’s had over 10, maybe 14 stories published, and not just locally. She has more output in the past year than I have in the past several [laughs]. And she’s a great poet. She’s been published in “Expanded Horizons”, and last year she won a Philippine Free Press Award. Rochita, she’s an expat living in the Netherlands, and her writing impresses many people. I know that Rich Horton, from “Locus”, likes her writing. 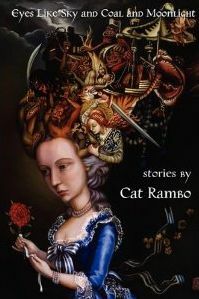 She’s had several stories published, including “Weird Tales”, “Apex, and “Fantasy”. I’ve read him. I also recently read an essay that he wrote bemoaning the difficulty of being a writer trying to appeal to an international readership and a Filipino, and the struggle with the question of distancing himself from his Filipino culture and heritage versus having his heritage come through in his writing—deciding how much to explain, and how much to “let go”. What are your thoughts on this? It’s not necessary to separate it, I believe. Some writers put their culture at the forefront of their writing, whereas for others it is much more subtle. Whether you choose one of the other, it depends on the market. For example, one market might support “Filipino” writing, where others might not. But I think right now that the climate is one where people are more open to other cultures and in reading something that is very different. This is the problem right now with some American sci-fi, uniformity of culture – even if the characters have names of a different ethnic background, they still, basically, act like white Americans. A Filipino writer who places his cultural heritage in the forefront of his work might not be for them—just like a lot of mass-market sci-fi doesn’t appeal to most Filipinos. Well, much like in the United States, it is romance novels that seem to dominate the book swapping market. Filipino readers, especially those who are living abroad, might be more interested in something with a manananggal, but I don’t think that it would draw in a reader who wasn’t already interested in the genre. I’ve been visiting the Philippines for over ten years. In that time, it seems to me that Manila is slowly becoming a cyberpunk “sprawl” setting. Even with the presence of 17th-century technology in places, almost everyone in Manila is wired, world-leading electronic financial transactions, every cyber-crime imaginable, and young kids are hacking GPS and jail-breaking iPhones on folding tables in the train station. With cyberpunk becoming a reality here, is the cyberpunk genre gaining any traction? Not really. 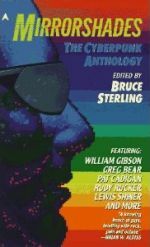 The googles read scif-fi, and a lot of folks here have read William Gibson and Neal Stephenson—his series, starting with the Cryptonomicon, being set in the Philippines got some attention. For me, there are two different reading crowds. The mass-market Filipinos, for them the popular genres here are horror and romance, and there is the occasional fantasy story that they read. You’ll most likely see these readers shopping, not in Power Books or Fully Booked (two popular chains that carry a variety of Filipino and international books) but in the second-hand shops. Then you have the middle to upper classes, they are the genre readers. They are the Power Books and Fully Booked escapists, as well as seeking out more specialized books shops. Those are the readers of science fiction. Cyberpunk is fine, but it hasn’t dawned on our readers that they are living in the age of cyberpunk. The “I Love You” virus and several other prominent internet crimes were committed by Filipinos. The sidewalk cellphone, computer, and GPS hackers that you mentioned, all matter of software piracy, as well as the pervasive influence of corporations contributes to that notion. Japan has the tech and the prosperity, and, perhaps, the necessary personal pessimism, but they aren’t poor. Manila has the poverty and desperation to go with the technology. How has what you appreciate and value about science fiction changed over the past ten years? I am twenty-eight, will be twenty-nine this year. Science and society have evolved, and the expectations have changed. When I was young, I enjoyed golden age writers, such as Arthur C. Clarke and Robert Heinlein. As I’ve grown older, I’ve started seeing the weaknesses in their writing, especially Heinlein. It’s kind of limiting. 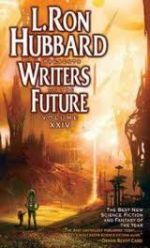 Now you have talented writers in hard science fiction, and they delve into different corners. If you want a story with lots of math, but still understandable, you have Greg Egan, and he combines that with good characterization. You also have interesting dystopian fiction with consequences, like Paolo Bacigalupi. The problem before with sci-fi is that people think of it as intimidating, or as very hard to consume. I know that, as a reader now, sci-fi is capable of a lot of things. Whether it is something like “The Lottery” by Shirley Jackson” or “Those Who Walk Away From Omelas” by Ursula K LeGuin, or something more complex now. Sci-fi is not as plot oriented, or as idea-centric, though that is how Hollywood sees it now. 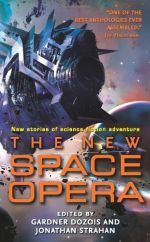 You can write a powerful, emotional science fiction story that is not so concept-driven. 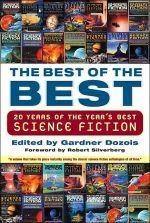 Aliette de Bodard from France writes those kind of science-fiction stories. Self-publishing and self-promotion are exploding in the North America and Europe, as writers have taken advantage of technology to “go it alone”. What are your thoughts on this trend? Publishers will discard the authors who won’t sell millions, or will reduce their books to small print runs. It seems reasonable, then, that some authors will try to self-publish. The problem with self-publishers is so many don’t know how to self-edit [laughs]. And the business and the promotion side are so much work that it’s hard for many writers to self-publish and stay “in the black”. I haven’t noticed electronic book readers much around Manila. Do you think that this is something that will catch on here? In the long term, yes. Most people are of two extremes. They either eschew them, or proclaim them the wave of the future. I am somewhere in the middle. It will arrive in the Philippines, but it will arrive in 1-2 decades at the earliest. Short of e-book readers being dirt cheap, it won’t take off here. Maybe if they tie it in with cell phones. I think the example here, is a good example of how technology in a third-world country can surpass that of a first-world country. The economy of cell phones here far surpasses that of the U.S. We have all of these services, like a micropayment system that is still not in place in the U.S. The only place that can rival the Philippines for this kind of tech is Japan. A poor Filipino may spend one month’s salary on their cellphone, and it will serve as their ID and even serve the function of a credit card for those who can’t afford them. Those who can’t afford land lines, or internet, for example, those living in squatter’s areas, can do a lot of things with their cellphones, including transferring money, instead of using a credit card. 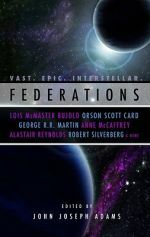 Is your primary aspiration to pursue the business and promotional side of speculative fiction, or do you have a drive to write your own fiction? I am an uber-geek. I love card games, video games, tabletop and digital RPGs, miniatures, books, movies, comics and manga. I want to write, but I don’t want just that small part, but the bigger picture. Whether or not I have success with the fiction, I’ll do it, but it is publishing, design, promotion, editing, that interests me. That’s why I don’t just focus on writers, but on editors and publishers when I do my interviews. In coming out with a book there are a lot of people involved. Like the Hugo voting, most people will vote for the authors, but only a few people vote for the artists. Artists make a big contribution to the genre. They shape our perceptions of so many things things, and deserve recognition. There are those whose work you don’t see, such as the assistant editors, the slush readers, they don’t get to be recognized. This includes yourself. When people think of Redstone Science Fiction, they think of your editor, but your work is more behind the scenes. You’re the kind of guy that interests me. You are essential to the genre but most people won’t appreciate the role you play. This is a topic of so many debates, so I have to ask for your take: What is the difference between science fiction and fantasy? There is no difference in science fiction and fantasy, it’s only how the readers perceive it. For example, psionics, the “power of the mind” is thought of as a sci-fi theme, but you could argue it is magic, and therefore, fantasy. It’s all relative, and that’s why I prefer the term “speculative fiction”, because I don’t need to delineate in-between. Arthur C. Clarke said “Any sufficiently advanced technology is indistinguishable from magic”. Old science fiction would now seem like fantasy today, the “John Carter” stories, for example. Is there an annual science fiction convention in the Philippines? No. Groups of Star Wars fans, Star Trek fans, and other groups do have gatherings and parties, and film releases prompt gatherings. There was once a group called the New World Alliance, made up of several such fan groups, that held some fan-centered events, and movie premieres like Harry Potter or Star Trek are always a big deal. What is the Philippine’s greatest recent speculative fiction event? Neil Gaiman and Fully Booked held the Philippine Graphic Fiction Awards ( link http://www.clickthecity.com/metro/?p=7559 ) just recently, and that was probably the biggest. When you aren’t promoting speculative fiction, what do you do? 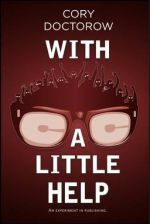 My day job is, I’m the editorial assistant at Pulp (http://pulpmagazinelive.com/main/ ), which is a music magazine. We’re also involved in putting on concert events. We’re bringing in Anthrax, which is really exciting to me. Have you monetized your website, or have you considered accepting online contributions from your readers? Right now my goal is to promote awareness. I haven’t tried making any money with my website because I didn’t have a credit card until a few weeks ago, and for the longest time PayPal wasn’t allowing Filipinos to hold accounts, because of the fraud. Of course, they are willing to employ Filipinos in their call-centers. As if “they are okay to work for us, but we don’t trust them as business clients”. What I do behind the scenes is I send books to editors for them to consider for Year’s Best, and I try to promote awareness of what’s going on.